This is not a surprising or complicated recipe! Many of the recipes I have shown you are purely homemade Japanese cooking and may be different from what you have prepared before. Not so for the Tuna sandwich! I love Tuna sandwiches, but I sometimes wonder if it is fresh or safe to eat when I eat out. So I always cook it by myself for my lunch and use fresh ingredients in addition to the canned tuna. Japanese often use canned Tuna in our meals because it is definitely a pantry food, it is, of course, delicious and also nutritious!! I use canned Tuna in salads, pasta, omelets, gratin, fried rice, on toast, sautéed with vegetables and so on. As you know, it is great when you are busy!! You can use any vegetables and bread you want. I use Romaine lettuce and tomato, which I think is the best combination to the tuna in a tuna sandwich. 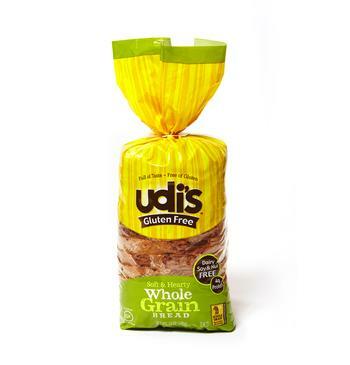 And I use Udi’s Gluten-Free bread, which tastes great! Enjoy your fresh Tuna sandwich!! Categories: Sandwich | Tags: Bread, Delicious, Easy, Homemade, Mayonnaise, Nutrition, recipe, Romaine Lettuce, tomato, Tuna | Permalink.